141 Mednik Avenue is an interactive performance installation that tells the story of Bobby, a young Chicano runner and barber. Located in the spirit world and told through nonlinear narratives, this piece explores issues of displacement and longing. 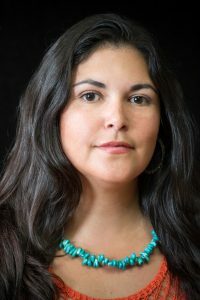 Jessica Lopez Lyman, Ph.D. is an interdisciplinary performance artist and Xicana feminist scholar interested in how People of Color create alternative spaces to heal and imagine new worlds. She is a member of Electric Machete Studios, a Chicanx/Latinx/Indigenous art collective on St. Paul’s West Side. She teaches at the University of Minnesota in the Department of Chicano and Latino Studies.